Mint is using Smore newsletters to spread the word online. DRY CLEANING AND LAUNDRY HAVE NEVER BEEN EASIER AT WORK! Mint Locker has been conveniently placed in your office for easy dry cleaning/wash & fold services! The lockers are located in the PARKING GARAGE! 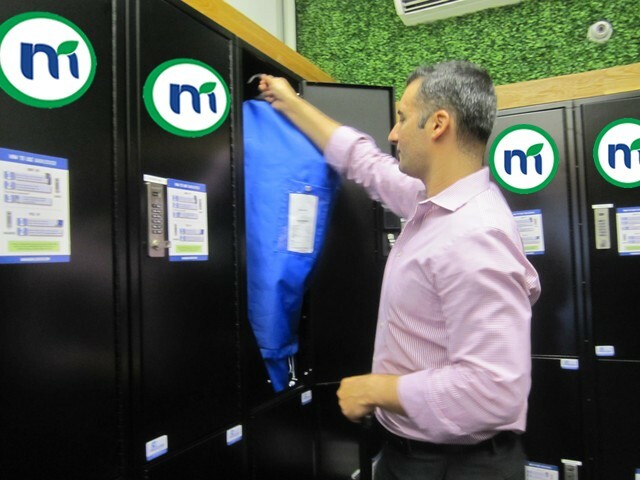 With Mint Locker, you are able to conveniently place your items in a locker provided in your own OFFICE SPACE, eliminating the need to ever drive to a dry cleaner again! DROP OFF. PICK UP. LIVE. REPEAT. First things first...REGISTER at mintlocker.com. 1) Place your dirty clothes in any open locker and close the door. 2) Enter any 4 digit code (e.g. 1234) and turn the knob to "lock" the locker. Register right now and receive FREE dry cleaning! Register today at mintlocker.com and use promo code WELCOME to receive $10.00 of FREE CREDIT towards your first order.